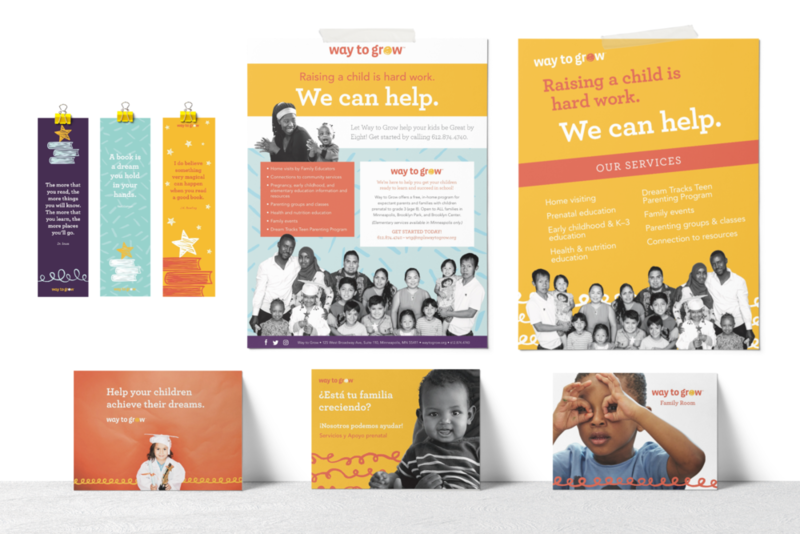 As the sole creative and in-house designer for Way to Grow, my role is to manage the care and keeping of the brand—both visual and written—while working to strengthen the mission and capacity of the organization. Responsible for all art direction, brand management, and design, my work includes promotional materials, web graphics, internal documents, event collateral, copywriting responsibilities, as well as acting as webmaster and manager for all digital communication. The following projects are examples of some of the work I have created for events, fundraising, new initiatives, and recruitment. 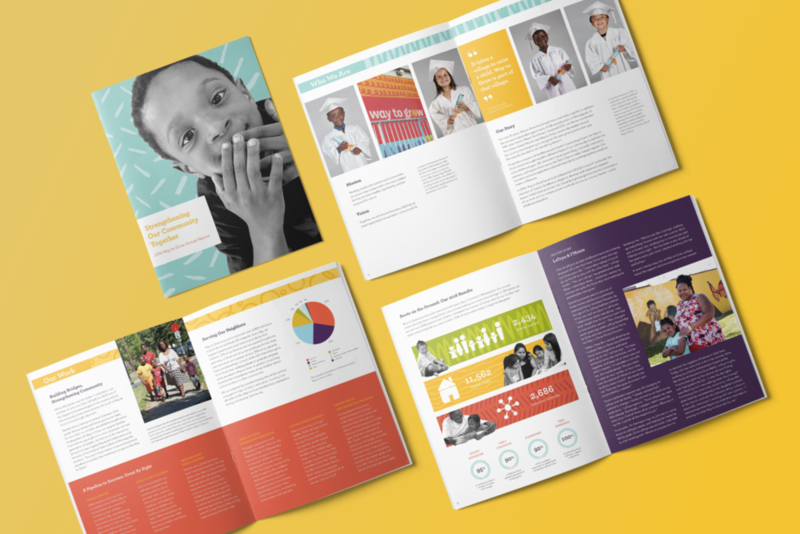 With our colorful brand and childlike illustrations, I have been able to create fun yet professional pieces for every department. Brand & Illustrations: Little & Company. Way to Grow is an early childhood education nonprofit that provides critical, holistic school-readiness and home visiting services to families throughout Minneapolis, Brooklyn Park, and Brooklyn Center. 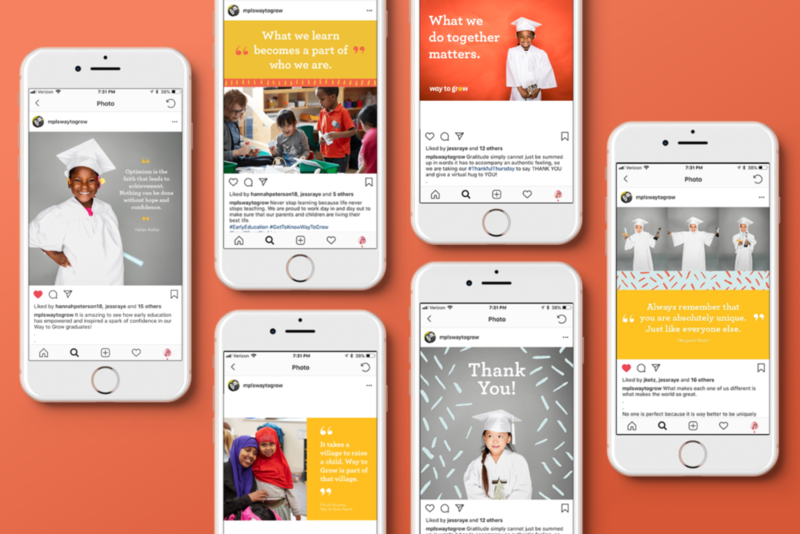 Through family support services, health and wellness education, early childhood and elementary education, and teen parenting support, Way to Grow provides the knowledge and tools needed to move families forward and help their children succeed. Learn more about Way to Grow at waytogrow.org.